Classic and eternally popular, solitaire diamond rings are a perfect representation of love and commitment. These rings feature a stand-alone, beautiful diamond set in the centre of a plain or a lightly adorned ring. 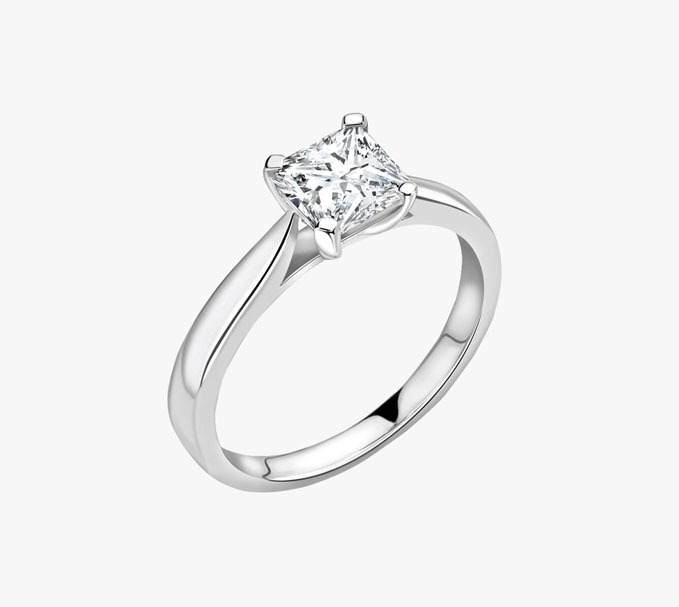 Whenever we think of an engagement ring, a stunning solitaire engagement ring surfaces in our minds. 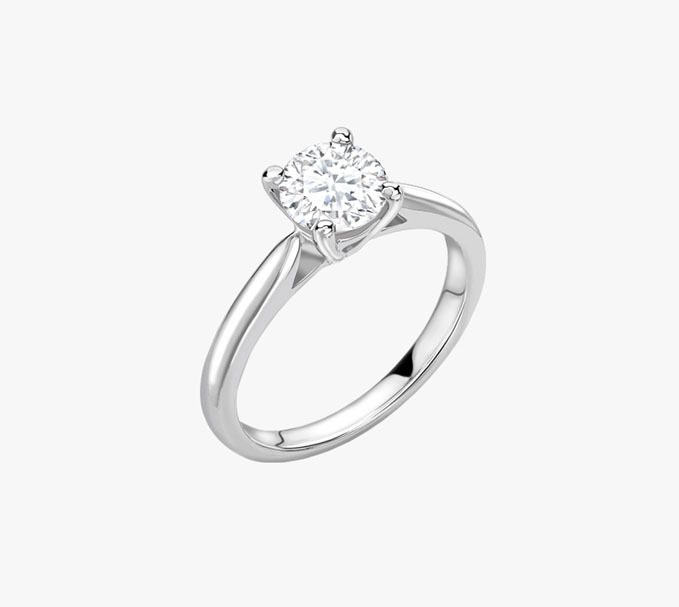 The solitaire is a timeless classic which has elegance and unending charisma. 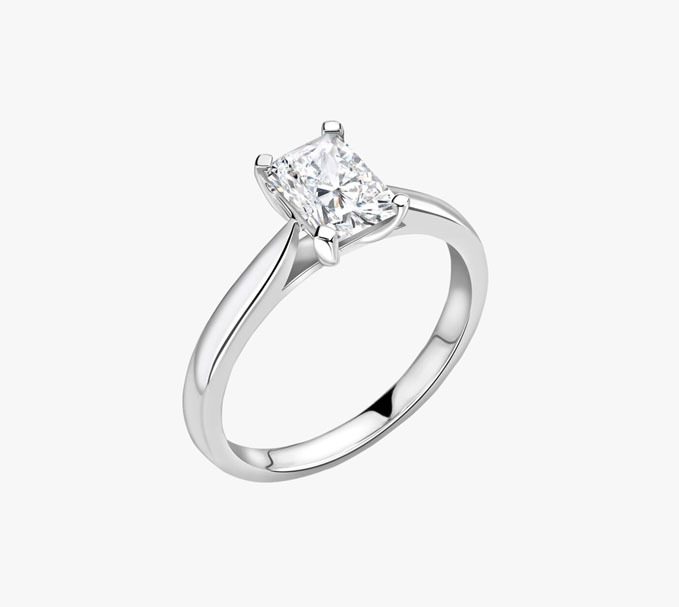 Solitaire rings for her are always super classy and highly favoured. Their design puts the focus on gorgeous centrepiece and makes it the star of the show. That is why, whenever you show off your beautiful solitaire ring, everybody is in awe. 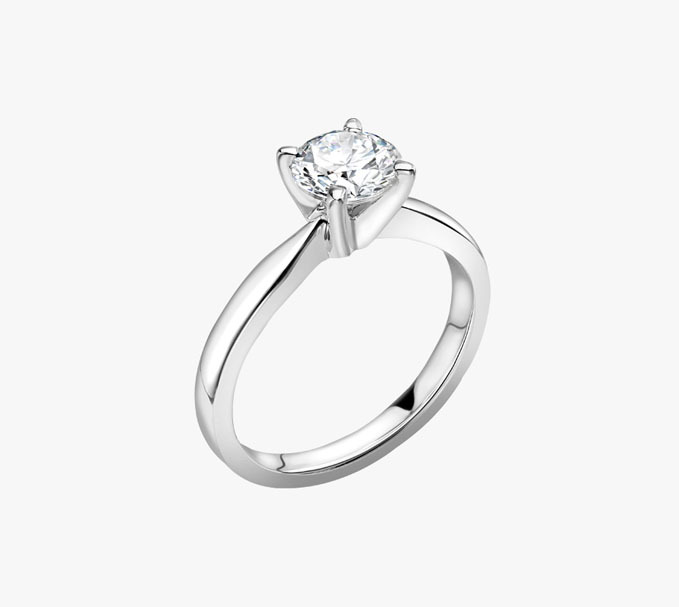 The word 'Diamond Solitaire' is defined with any piece of jewellery with a single diamond placed in the centre. This beautiful gem is assessed and valued based upon the 4Cs. i.e. cut, colour, clarity, and carat weight of the diamond. The most preferred choice for solitaire rings for women is the dazzling round shaped diamond ring due to its fiery brilliance and classic look. Square princess cut diamonds follow on the list on acclaim. Their oblong shape generates an illusion of long fingers, thus forming a graceful appearance. Princess, Emerald, and Asscher cut solitaire rings for her offer clean, straight lines and provide the appearance of having a higher carat weight due to the technique they are cut. 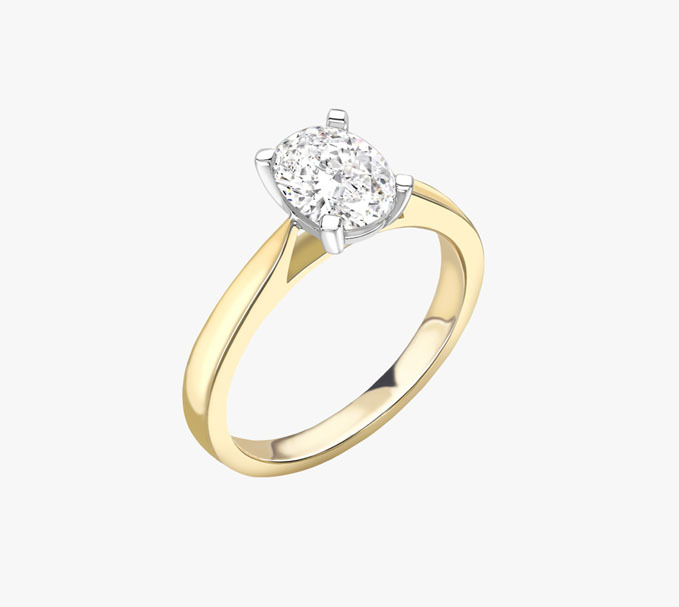 A solitaire ring for her has a great symbolic significance, and they are the most preferred choice of an engagement ring for the modern women. This ring has one large solitaire dominating in the centre of the ring. 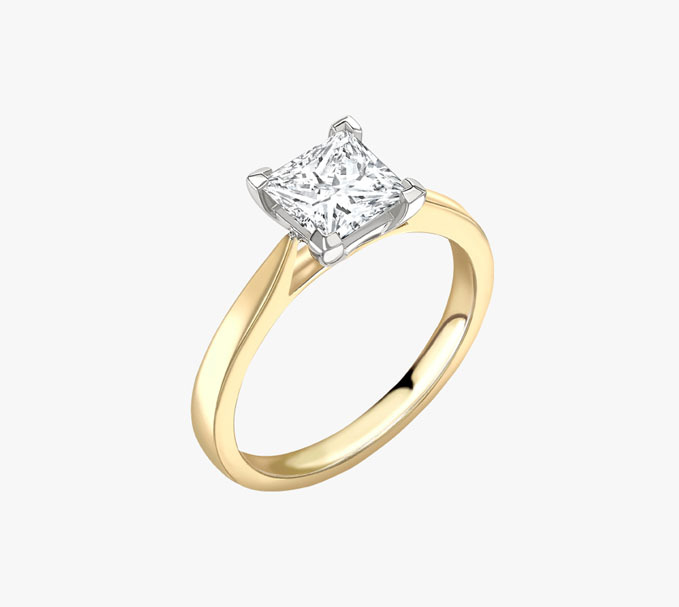 Known as a token of fidelity and lasting love, a single stone solitaire ring stands for beauty and eternity. 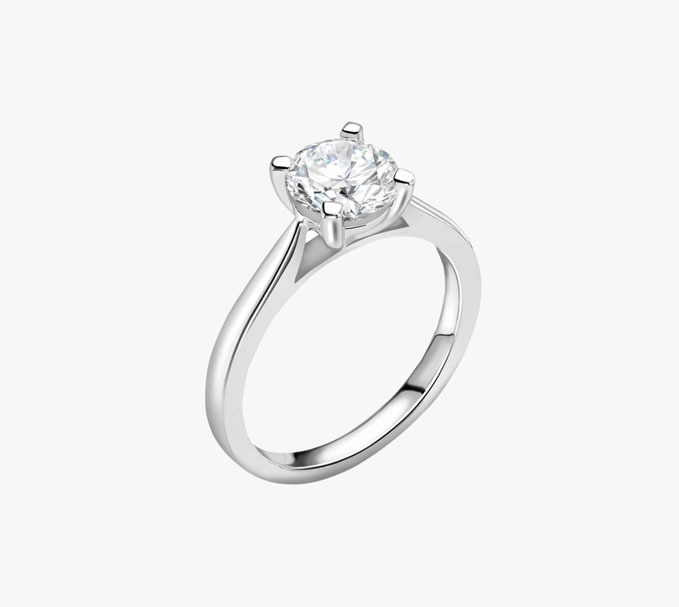 RPS has a variety of solitaire ring designs in assorted colours and clarity diamonds. Our solitaire rings prices are subject to the different colours and clarity of the diamonds.